If you haven't had a chance to stop by the new studio/shop or take a class in the new space yet, I thought I'd give you a little update here today. 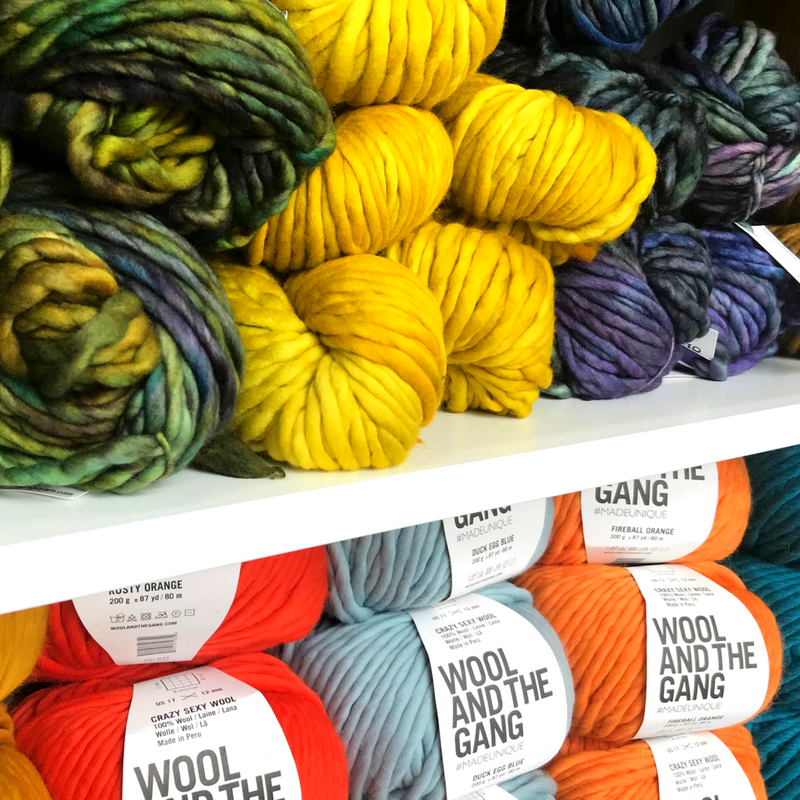 Now you can both take a fun new class to learn something you've been curious about (or just expand your horizons) AND you can buy fabric, yarns, patterns, tools and gift items to take home and play with or gift to your favorite makers. I've been keeping busy searching for all the things to stock so you have fresh, hard to find, awesome maker supplies conveniently located in Coventry Village. And adding new classes so there's always something new you want to try. And teaching workshops of course! Keep your requests and questions coming - they really help shape this place into serving our community, which is such a part of my philosophy on running this space. I want all of you to have fun, make things, relax, and feel good. We have had an incredible turnout for so many classes in the new space already. Thank you to everyone who has joined us so far and I can't wait to meet you if you have been thinking of trying a class or are looking for something specific in supplies. And of course, thank you to all the awesome makers who have joined us here in the studio to teach several new classes. Looking forward to having each of you again soon!